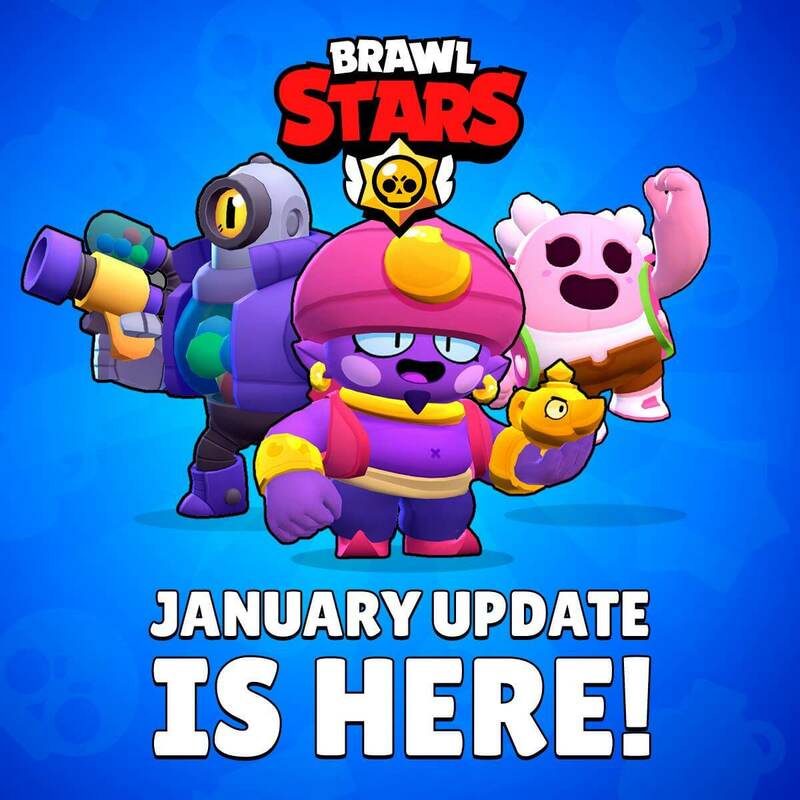 January 2019 Big Updates & Balance Changes | Brawl Stars UP! Here we go, the new Balance Updates from Brawl Stars team for making the game more balanced and fresher, based on the community feedbacks ! This time, we will have the following changes. Gene is the new versatile supporter in Brawl Stars. He can engage the enemies at any range! He launches a magical hand, dragging any to his location! Kicking the ball without Super now costs 1 ammo slot. Over 300 trophies, player names are hidden. Poison gas doesn’t deal damage instantly when it spawns/spreads. 4 new Bounty maps. Kept 3 old maps. 4 new Heist maps. Kept 3 old maps. Tweaked the remaining old Heist maps. Added one new Brawl Ball map. Brawl Ball and modified Showdown now share the event slot 4. Only Showdown has event modifiers now. Removed Life Leech event modifier. Search while in Club button added. You now can quit a Friendly Game anytime while playing. Start Power gem price decreased from 266 to 233. Token limit increased from 100 to 200. Star Power Healing + 33.3% (from 300 to 500). Star Power Damage + 25% (from 240 to 300). Star Power Healing + 50% (from 200 to 300). Super Bottle radius increased, no longer stacks. Star Power Healing + 25% (from 400 to 500). Star Power Shield + 10% (from 30% to 40%). Shadow Tara Damage + 100% (from 200 to 400). Star Power no longer give Green Skulls, gains instant 1800 HP when Mortis kills a Brawler. Star Power no longer gives purple Skulls. Star Power increases Damage by 40% for 10 secs instantly. Run by the community and run for the community.